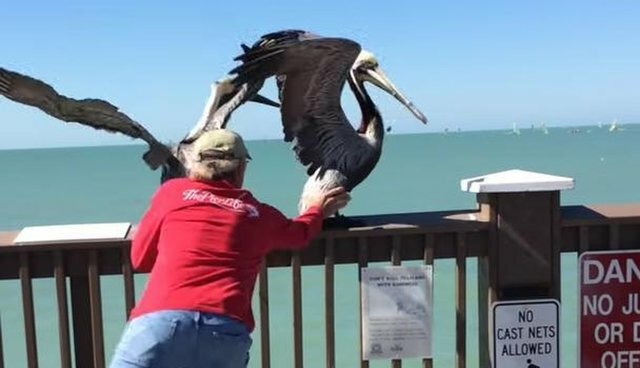 A pelican whose beak had become hopelessly wrapped shut in fishing line was saved from what was to be a slow, sad death - all thanks to the quick thinking and swift actions of a man who stepped in to help. He caught her with his bare hands. 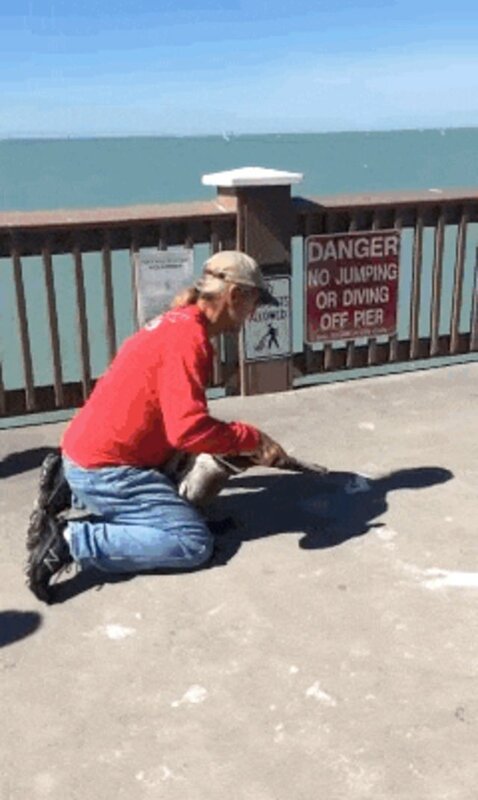 Once the pelican was gently subdued to avoid letting her injure herself, another rescuer began to unwrap the line. Without this intervention, the bird would quite likely have died of starvation. As quickly as the rescue began, it came to a happy conclusion. 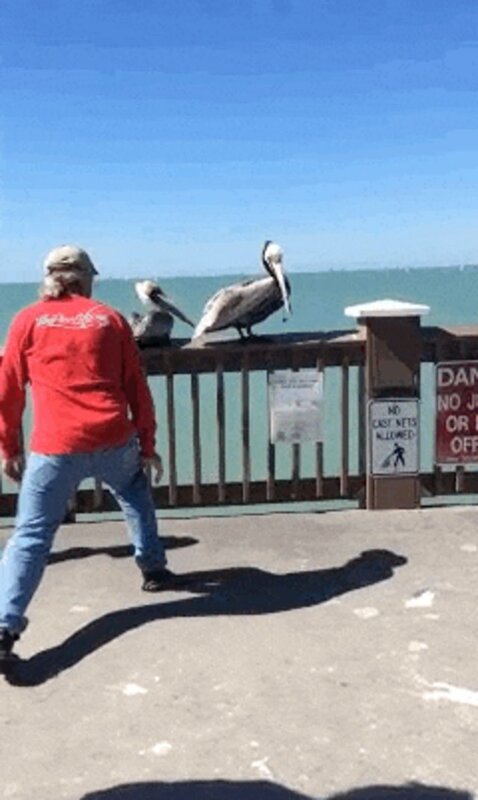 After the line was removed, and the pelican given a once-over to make sure she wasn't hurt, the man who had caught her moments before then set her free. It's unclear where this particular incident took place, but entanglements like this are far from uncommon. Click here to find out what to do if you see a bird caught in fishing line. 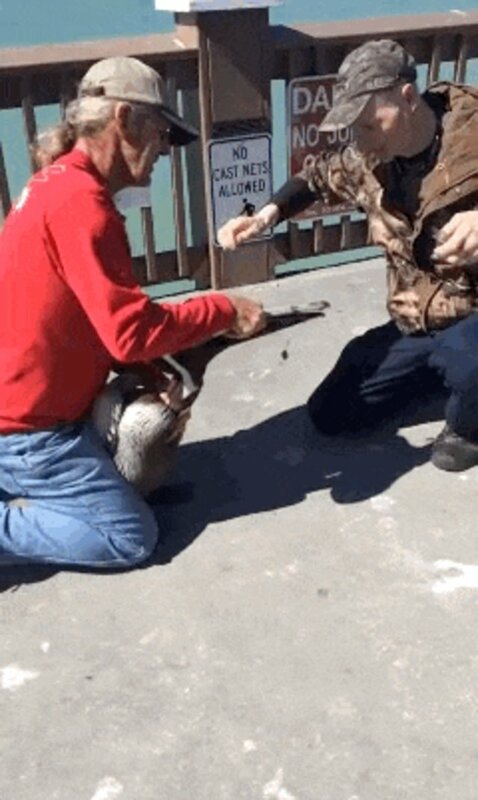 Watch this flawless rescue in its entirety below.